while in paris i didn't have much time to take proper outfit shots every day, but i did manage to snap a few photos once in a while. 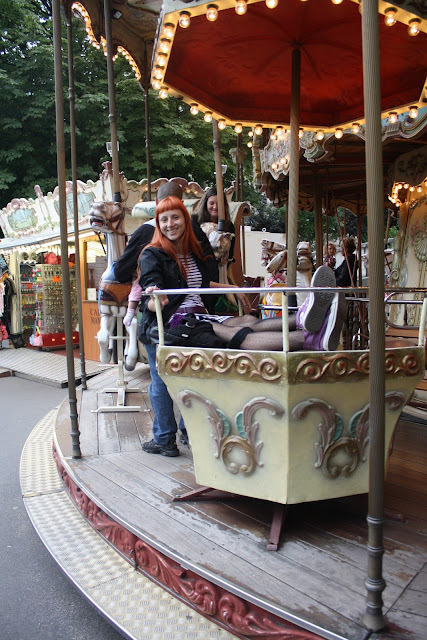 one of our favorite thing to do in paris was ride the carousels. well, we actually only rode two of the three we stumbled upon, but given the chance we would have ridden them all. we are but little kids inside after all. 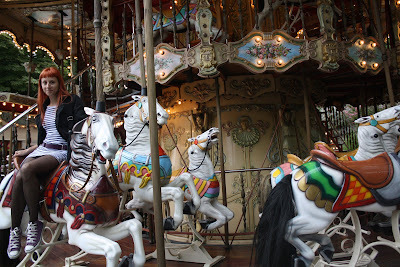 we took plenty of photos at the one in montmarte, close to sacre coeur. this one was particularly special to me because a scene from the movie amelie was shot here. well that, and also the video for savage garden's truly madly deeply, which i am sure most of you remember even if it was so long ago. 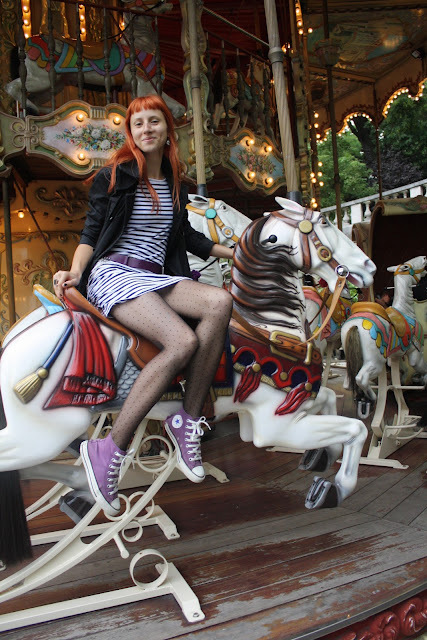 we had so much fun here and took loads of photos, or at least enough to make for a decent outfit post. there are still a lot of things i want to share with you from my trip but i don't want to deviate too much from the regular outfit posts. 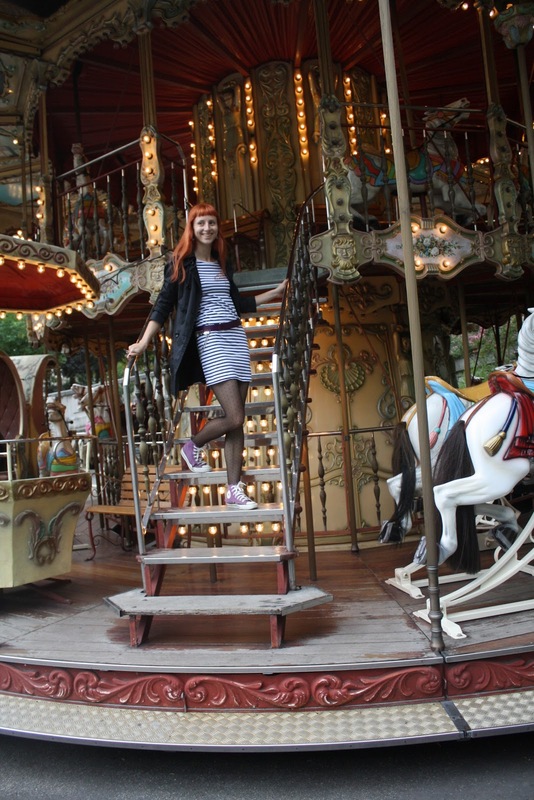 one of the things that i learned in paris was the importance of layering. the weather was so moody the last few days we spent there, it would turn from sunshine to cloudy and then to rain and the back to sunshine in a matter of minutes. i was wearing a short jacket in the morning which i swapped for the long rain coat in the afternoon, and the tights were real life savers. LOVE the converse with this outfit. Love the merry go round! Love that you had fun! Oh, and I am still absolutely enamored with your hair!